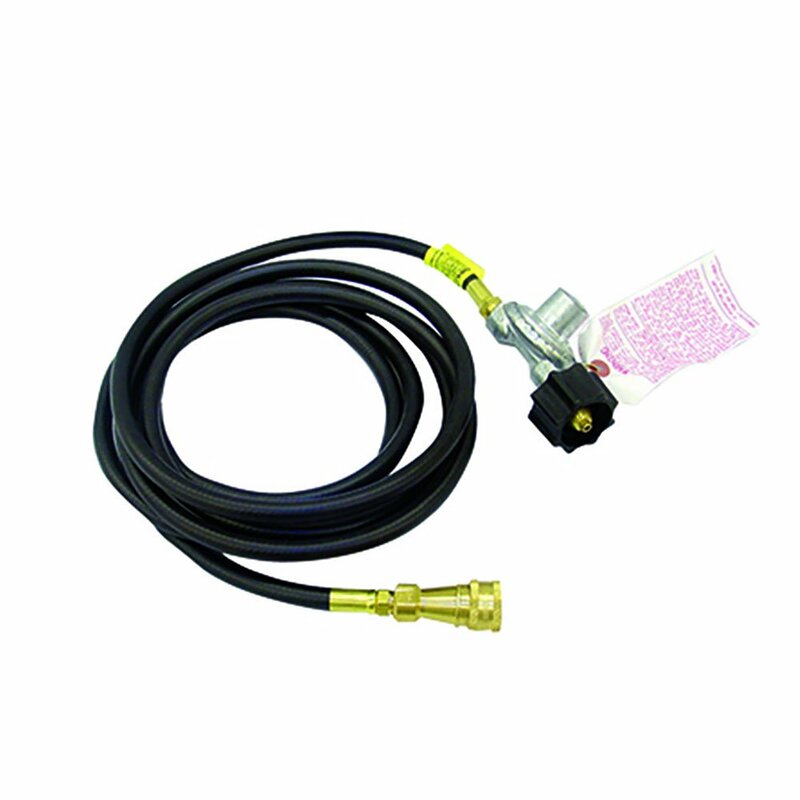 Whether you're camping outdoors or spending the night crashing at the cabin, the Mr. Heater 12 Foot Big Buddy Propane Tank to Heater Adapter Hose with Regulator will help you hook up to the heat source faster.This hose features quick connect and a regulator with acme nut to make hooking up to the heat fast and easy. This 12 foot hose is most commonly used to connect a 20 pound tank to the Mr. Heater Big Buddy heater, but can also connect to the Tough Buddy.The hose material is stretch tested to 400 psi and is pressure tested to 600 psi. Complete with solid brass fittings, this hose is durable and reliable.Quit sitting in the cold and start hanging out in the heat with the help of the Mr. Heater Big Buddy Hose.